The Akai GX series is known for its rather unconventional crystal ferrite head design. Akai describes these as "focused field heads" and together with Akai's vintage electronics, these machines definitely have a distinctive sound. They are far from transparent, imparting their own color on everything recorded or played back through them. This particular model is the professional version, featuring half track stereo GX heads, running at 15 and 7.5 ips. The electronics and transport have been modified by Jesus Agnew to fine tune the sound and to stabilise the tape transport system. 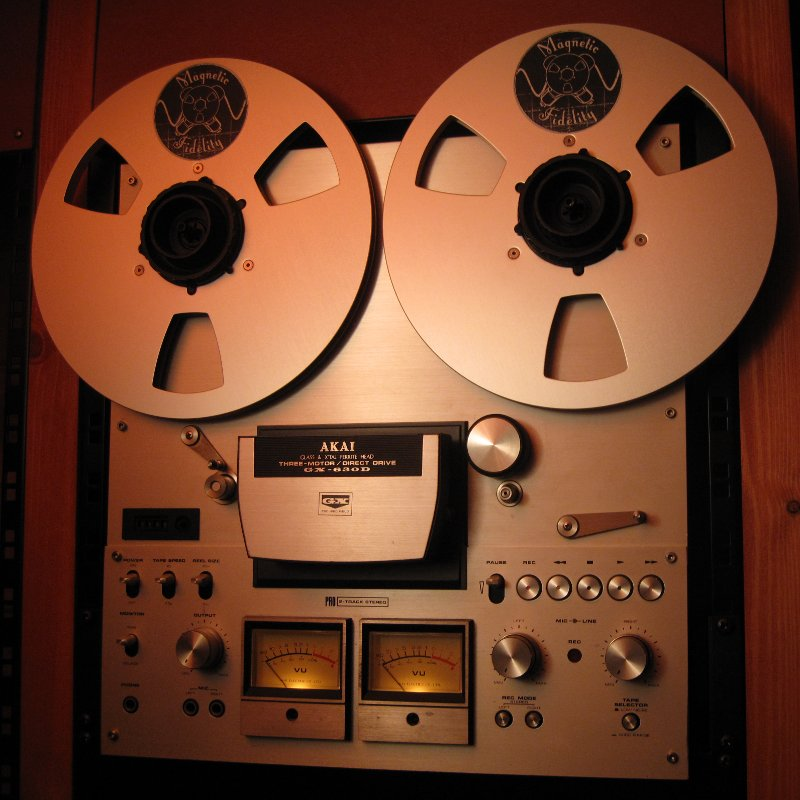 This machine is often used for special effects or for tape loops. It is also used to impart its distinctive sound to a recording that could benefit from such treatment.